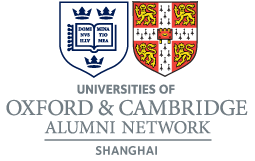 To provide a forum for Oxford and Cambridge alumni to meet and network in Shanghai, and for visitors from Oxford and Cambridge Universities to meet with those alumni. To provide a link between Oxford and Cambridge Universities and their alumni living in Shanghai. Any person who has graduated from Cambridge or Oxford Universities, and who lives in the People’s Republic of China, shall be eligible for application for admission as a Society Member, except where such person’s membership would contravene the laws or policies of the government of the PRC. Applications for Society membership should be made to the Secretary. Members may be asked to produce their degree certificate in support of their application. The Secretary shall inform the applicant of the acceptance after examination of qualification. Any person who has been an exchange student, or pursued a research under the auspices, or currently pursuing a degree, in the Universities shall be eligible for application for admission as an Associate Member of the Society. Associate Members have no voting rights and may not stand for Committee positions. The AGM will normally be held once in the first quarter of each year. Each Society Member has one vote at any meeting of the Society. Only Society Members attending the meeting have the right to vote, and there will be no voting by proxy. The quorum for the AGM shall be 20 members and a two-week notice shall be given of the AGM in advance. The following key issues should be decided or reported on the AGM, including Officer election, Constitution amendment, Committee working plan, and financial report, etc. Unless the terms or context of this Constitution provide otherwise, any decision to be made shall be approved by half of the Society Members present and voting at the AGM. An Extraordinary General Meeting (hereinafter referred to as EGM) shall be called by the President at any time when there is evidence demonstrating that the Constitution is seriously violated or any incident emerges too urgently to wait until the next AGM. The quorum for the EGM shall be 20 members and a one-week notice shall be given in advance. Society Members should be immediately noticed regarding any result from the EGM. Unless the terms or context of this Constitution provide otherwise, any decision to be made shall be approved by half of the Society Members present and voting at the EGM. The Officers of the Society shall be the President, Vice President, Secretary and Treasurer. All of the Officers form the Standing Committee of Society. President and Vice President should ideally be from different universities but this is non-binding. To be eligible for acting as Committee Member, candidate should become the Society Member before election. To be eligible for Officer, candidate should have served the Committee for at least six months. There should be ideally balanced Committee Members from both Universities but this is non-binding. The Officers are also Committee Members. All the Committee Members will normally serve a two-year term. When any Committee Member, including Officer, of the Society leaves or moves into a new role, the Standing Committee should appoint an existing Committee Member into that position. Any Committee Member may terminate his or her Committee membership at any time by notifying the President in writing. The Standing Committee may dismiss any Committee Member, including Officer, whose conduct is likely to threaten the operations of the Committee or disgrace the reputation of the Universities of Oxford and Cambridge. Committee Members are required to attend at least half of all Committee meetings and to organize at least one event for the Society per year or take one of the main functional responsibilities of the Committee. Unless the terms or context of this Constitution provide otherwise, any decision of the Committee meetings shall be approved by half of the Committee Members present and voting at the Committee meetings; any decision of the Standing Committee meetings shall be approved by half of the Standing Committee Members present and voting at the Standing Committee. Any Society Member may propose a change to the constitution by informing the Secretary in writing at least two weeks before the AGM. Changes to the Constitution require a two-thirds majority of those present and voting at the AGM. All Society Members have the rights to see a copy of the constitution by a requesting to the Secretary. Any changes to the Constitution will be valid once approved by the Members of the Society. The normal form for this approval process will be the Annual General Meeting of the Society. Events shall normally be held once a month. The nature of the events will be decided by the Committee with input from its members. In the event of an activity where money is collected from ticket sales or sponsorships or other means to raise funds for the Society, the accounts should be made available to any Society Member who wishes to see them.